Here's a dandy 7" ep from a not oft spoken of Cleveland-area band that went by the moniker of Drill Kitty. If I recall, these guys made it onto my radar by a record review, or perhaps an ad in Maximum Rock n Roll, though they were barely the MRR types. 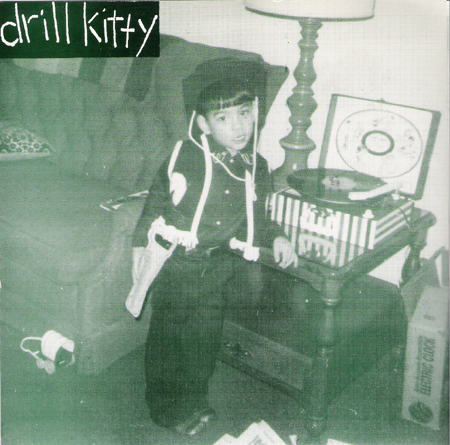 Drill Kitty's lo-fi, punk-pop panache touched on many of their contemporaries due southeast in Chapel Hill, NC, and coincidentally or not, they also seemed to be channeling the warm, homegrown persuasion of Eric's Trip. Aside from this and a few compilation appearances, I'm not sure what else the band unleashed on the world. Re-up would be awesome, if and when possible.